Good looking handsomely designed website. Live chat that seems to work well. Easy site navigation, changing between the sports menu. There was a bet limit of only $250 per game for new clients. The game wagering amount was circled (restricted amount that can be wagered) to just $100 up until just one hour before game time. Even though ease of use of a website and live chat are important, limits and game availability is more important. In fact, beside ease of withdrawals, limits and time circles are next in line of importance. It is frustrating to not able to wager a decent amount and not be able to do so on your own schedule. Based on our own frustrations with this website we are altering the rating of the site to C Rating. 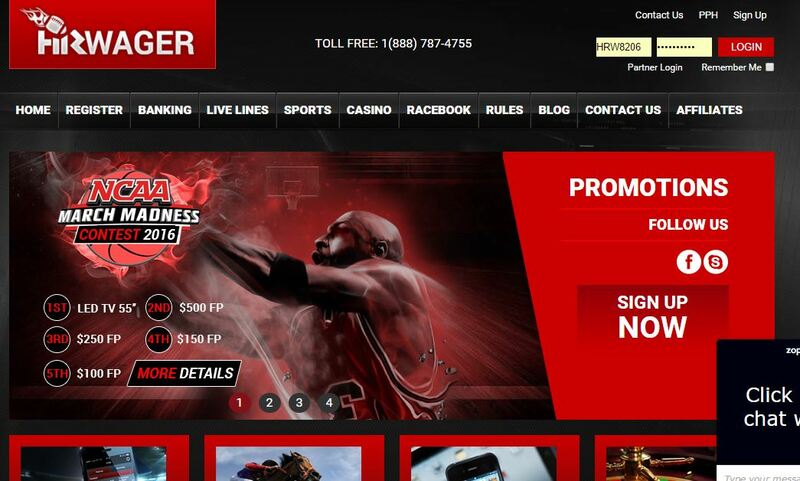 With these kind of time and amount restrictions, we cannot recommend to the serious bettor to play here.